Toronto is a gorgeous city that attracts millions of tourists each year. Families visit to soak in the city culture and to enjoy the breath taking nature of Canada. The best way to get the most of the city and of the natural splendor of the region is to spend a few days enjoying Toronto and then a few days exploring some of the local campgrounds. Balance out the hustle and bustle of the city life, with a trip to one of these amazing family friendly campgrounds nearby! The TRCA is divided into three separate camp sites, Albion Hills, Indian Line and Glen Rouge. Of the three, Glen Rouge is the only site actually located in Toronto along the Rouge River. This site is best for all kinds of campers and offers both the nature aspect as well as a city respite since it is in Toronto. It’s very close to the Toronto Zoo, several beaches, playgrounds and also boasts gorgeous hiking trails and family events. Amenities at this site include fire pits for roasting s’mores, showers and bathrooms. There are also plenty of activities to choose from for the whole family, like canoeing, swimming, biking, picnics and in the winter they even offer cross-country skiing. JellyStone Park is a sought after tourist destination that is more of a park atmosphere than a traditional campsite. Located just a 40 minute drive out of Toronto, Jellystone offers a jam packed family getaway. This campsite has plenty of activities to keep your family occupied when you visit, with nature basics like walking trails and bike tours, as well as raucous fun in the form of pedal karts and karaoke, there is something for every family member to enjoy. For tourists this is a great location to get to see the beautiful city of Toronto and enjoy the nature Canada is famous for. Bronte Creek Provincial Park is a quick 45 minute drive from Toronto and has so much to offer a family of campers. In the warmer months families can enjoy the outdoor pool, Bronte Creek Ravine, the local farm house dating back to 1899, golf, hiking and an adorable children’s farm full of animals. In the winter time tobogganing and cross country skiing are offered. This site also has themed months, with the Maple Syrup Festival in March, ghost walks offered in August, along with halloween and Christmas packages. Cedar Park Resort is located about an hour and 15 minutes away from Toronto in Bomanville. This park is most popular in the summer months due to its water park, pool, mini-golf and other family activities. It is not somewhere you go for the peace and quite of nature, but rather a fun campsite full of happy children and their parents. One thing to keep in mind is that this site does not allow tents, only tent-trailers and RVs. Elora Gorge is located an hour and half from Toronto and has the stunning Grand River flowing through it. This site is great for families with children of all ages, offering swimming holes, hiking, sports, fishing and tubing. Check out our review of Elora Gorge. Some campsites in Colorado have been compared to Elora Gorge because of the similarities in terrain and the emphasis on adrenaline spiking activities in the river. This is definitely an adventurous destination with more intense activities than most, making it great for those outdoorsy families! Elora Gorge also offers scheduled workshops dedicated to conservation, where you and your family can learn about local plants, animals and insects. Make sure to check the event calendar before going to see if any workshops are offered during your stay. 1000 Islands Camping Resort is one of the most popular camp sites on the list and is about a three hour drive from Toronto. The camp site prides itself for having something for every kind of camper and for being an affordable destination. 1000 Islands has the most amenities and activities, including yacht rentals, heated pools and hot tubs, jumbo slide, playground, playhouse, a myriad of sports, and a dog park. If your family is looking for a campsite with a ton of activities to choose from, this site would be work the 3 hour trip. 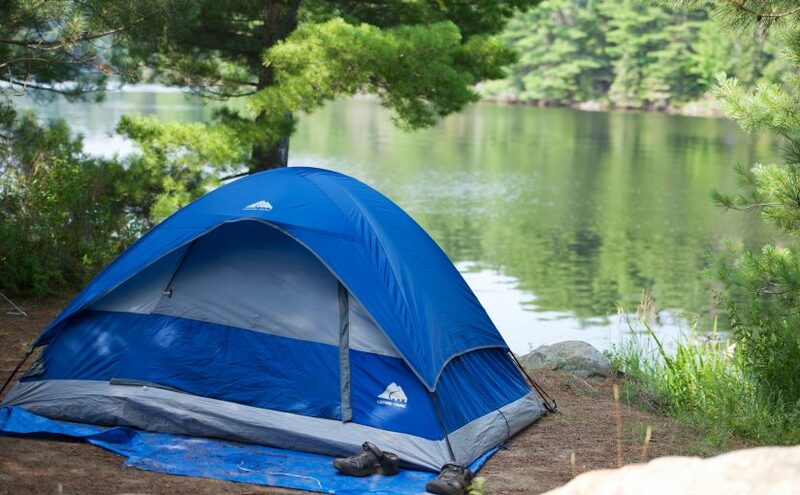 “ If you currently live in Toronto, or are a tourist visiting for a few days, there are plenty of accessible campsites to visit within a short distance. With tons of amenities and recreational activities to choose from there is a perfect campground available for every kind of family. Next time you’re in the area, take your family to one of these parks to really take in the natural beauty of Canada and enjoy some family bonding over a campfire or some fishing.